It’s that time of year again…when I throw a dart at the calendar and pick a date for taking “new school year” pictures and post what we use around here academically. Honestly, we do school around here year-round…thus the “[Not] Back to School” title. That, and let’s be real, homeschooling is nothing like public or private schooling…it’s way freer and cooler, lol! ;-) Before I get started, I have included a fully extensive list of their curriculums later on in this post. All links to external sites are in RED. I do not get paid for blogging, nor do I make $ off you clicking on anything or buying anything (unless you’d like to buy some Essential Oils, haha). I just post the links because a) it helps you guys out, if you’re looking to try something I spoke about, and b) it’s helpful for myself…if I ever need to return here to see what we used. If you would like anymore information from me, just shoot me an email at: Homeschool@BohoHobos.com. We are “starting” the school year off in Woodland Park, CO. Last year, we began it in Farmington, NM, and the year before that, we started it out in Richmond, VA. We LOVE this lifestyle!!! The learning opportunities are absolutely endless for Roadschoolers. We might be here for a while though. 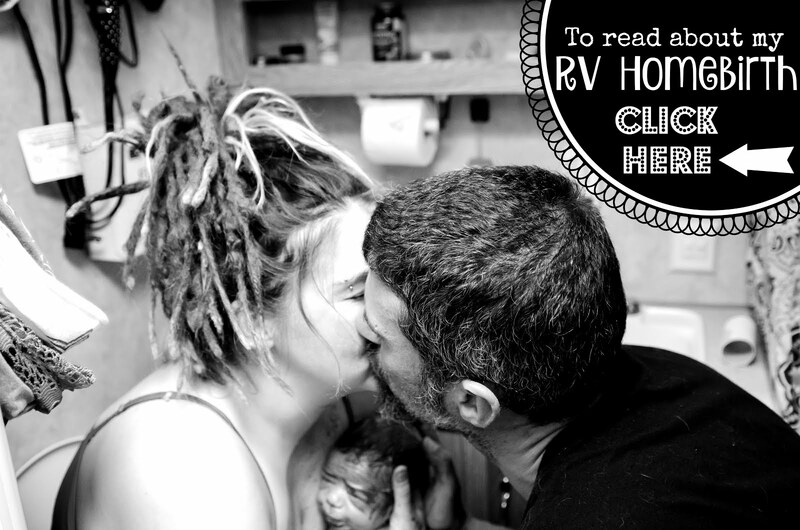 We have no intention of leaving before this baby is born…and since he/she is coming sometime between Thanksgiving and New Year’s, we have no desire to move the RV through the Colorado Rocky Mountain snow. So….we will be here til at least the “end” of this school year. Monster High Girl is beginning 4th grade this year, and Cinderella is going through another round of Preschool. It didn’t quite jive with her last year, so we’re giving it another shot. If today is at all a representation of how her school year will go, I am in for a treat and she’s gonna have a blast! I think she’s finally ready. Don’t I have just the most beautiful little girls ever?! I am so smitten! And they absolutely love to learn! Our day begins with Breakfast…just like any other normal family, lol! Since we don’t have a bathtub really, for evening baths before bed, showers are done in the morning to refresh and prepare them for the day ahead. They get dressed, do their chores and then it’s time to get started LEARNING!!! Ya know, or taking pictures. Haha! We always begin our Learning with Circle Time. This involves lighting a candle on the table and dancing around for a few minutes to the song “Circle Round” by Amy Hill (Circle Round-a Pagan CD for kids), it gets our hearts pumpin’…then we blow out the candle to signify the start of our day. They really enjoy it, and it is good for them to have a ritual of sorts to let them know we’re getting started. (For the record, I NEVER paid that much $ for that cd. I bought it digitally for $10 a couple years ago. I’m sure it’s available elsewhere for a reasonable cost, but I don’t have the time to do the Googling.) Even Mojo loves Circle Time!!! He dances with the girls, it’s too cute. We spend the next couple hours learning numbers while MHG does Math and works in her workbooks. We slacked off a bit last year, so this year, she has to buckle down and learn her times tables, to get down her Multiplication. After Second Breakfast…yes, my Hobbit children are constantly eating we work on our letters and MHG does her Vocab, Spelling & Grammar. Cindy kills a bit more time by painting what she’s learned so far, tracing stuff and doing puzzles. After we eat Lunch, we head outside for some Recess fun on the playground. And normally, after that, we would work on Science, Geography and/or Social Studies/Fairy Tales…but today, we took some more photos. After those studies are wrapped up, we spend however long their little hearts desire painting, coloring, drawing, clay play, Italian, Music, or Yoga. That usually is the time I have to do my chores, return emails for work, make any phone calls I need to, then get dinner started. After dinner, we spend time together as a family playing board games, watching an episode or two of Scooby Doo, enjoying a nice campfire outside, reading, free play, or whatever everyone wants. Then, it’s off to bed. This is more or less our routine. We don’t have a schedule though…just to make that VERY clear. We *might* begin our day at 6am or at 10am. We don’t care, just as long as we follow that general outline. If Cindy loses interest in something, I let her run around for a bit, then I present her with something new to do. But sometimes, she just wants to run around and play…and that’s ok. I feel like she’s got a few more years before I have to be more rigid with her. That was exactly how I did things with her older sister, and it has worked out for all of us through the years. MHG can do her work in any order, anywhere in the home, and any way she likes…I only ask that Math always be done first. She is at her most alert and her ability to FOCUS is best-first thing in the morning. Everything else though, she has the free reign to do however she pleases. That girl is VERY structured though. She is always setting schedules for herself, timelines to start/finish tasks, outlines for her day, etc. She’s like 9 going on 39. She embodies every bit the Capricorn child that she is. I have a feeling her Cancerian sister is going to be the complete opposite though…when she is older. It should be fun. Monster High Girls’ Curriculum for this year is a combination of Oak Meadow for 4th Grade, a few textbooks from Calvert, workbooks that we’ve been using for a couple years now…that she likes a LOT (I’ll list and link those below) and a few “fun” books that I found on Amazon and thought she would love…Art Lab and The Science of Harry Potter. She also does Italiano Homeschool edition Levels 1-5 through Rosetta Stone, Calvert’s Music Program and Yoga with her Sister. This is the 4th Grade Oak Meadow Curriculum package. You can check it out HERE. Different textbooks from Calvert, that I purchased used off Amazon (always trying to save $…not all current prices are cheap though, shop around first before you buy). Calvert is an INCREDIBLYE EXPENSIVE curriculum…BUT, it IS very good and very thorough. It is also Secular and if you care, it aligns with Common Core Standards. We used it for 2nd grade, but it felt way too much like following a Public School curriculum. There was TONS of written work and it sucked the enjoyment out of learning for MHG, so we switched back to Oak Meadow for 3rd grade. I DO love their Math and Science, however, so I still incorporate that into our studies. This is a list of all the workbooks I get through Amazon to supplement the Oak Meadow curriculum with. MHG needs a lot more difficulty with some of her subjects. A few of her workbooks are for the next grade up. She prefers it this way, honestly. I was never a fan of workbooks, but she loves them. And even after incorporating all these workbooks into her studies (all of which she does NOT do at once), it still doesn’t even come close to the amount of written work that Calvert had her doing in 2nd grade. She always does 2 pages in her Multiplication book, but she is allowed to pick from the other math workbooks what she wants to do for the day. I don’t regulate it. Just as long as they are all completed by the start of the following school year. As for the Spelling, Vocab, Maps Globes Graphs, and the Grammar books…those get done every day. She’ll have Spelling and Grammar Grade 6 completed by the end of this year I imagine. This is one of the main reasons we ended up Homeschooling. Due to her incredibly advanced level of Reading, Comprehension, Spelling and Vocabulary skills, it made public school quite the challenge for her…because it was WAY too easy. She was reading 5th grade books in Kindergarten. She reads at an 8th grade level now. It makes it quite difficult for me…finding books that are both challenging enough for her to read…yet appropriate for her younger age. Everything else though, Math-Science-Social Studies, she is at her grade level with. This is why Homeschooling will be the best choice for our her for at least the near future. Art Lab & The Science of Harry Potter links above. I made her a dry erase comb bound book to learn her Times Tables. It has proven most handy! She is wrapping up her Multiplication (3rd Grade) Workbook currently. Last, but certainly not least, and my favorite part, is the Main Lesson Book that Oak Meadow got us in the habit of putting together throughout the years. We buy a hardcover, spiral bound Artist sketchbook and use it to record her Science lessons and Artwork. It is something I always treasure at the end of the school year. If I kept one thing from each year…it’d be this book. I know it seems like a LOT of stuff to throw at MHG, but she doesn’t do it all at once. It allows her lots of variety to choose from, so that it never gets old. It keeps her on her toes, and she enjoys it. So that’s all I care about. Cinderella’s curriculum is a combination of Oak Meadow for Preschool, Montessori by Mom (a monthly subscription program), LOTS of puzzles, coloring, painting, clay play, Hot Dots, Road to Reading (a program that we got through a company that has since gone out of business), dry erase comb-bound books I made her to learn how to write her numbers and letters, lots and lots of unstructured free play, outdoor play along with Nature exploration and of course, Yoga! Here are the different monthly toolboxes we’ve receive through Montessori by Mom. You can click on each picture to visit its external site, or hover your mouse over each picture to see the name of each toolbox. It is a fabulous program. Although the program is said to be geared towards children ages 3-6, BOTH my girls, ages 4 and 9, LOVE these to death. They both have no problem finding several activities to captivate them each month when they arrive. It is well worth the money…or a nice subscription for the family to chip in on. Cinderella LOVES her puzzles. She could work on puzzles for hours straight…completely captivated by them. I am not a fan of the lesser quality ones, however. She would beat them up in only a matter of weeks. So slowly but surely, through the years, I’ve upgraded all her puzzles to wooden ones. They are in just as great shape as the day I bought them…and she does them daily. Most of them are by Melissa & Doug. These are the Road to Reading and Hot Dots cards we got through that company 10 years ago. Hot Dots products still exist though, and you can get them for any age level or subject on Amazon. She uses the pen to select the correct answer on a Hot Dots card. If she’s right, it makes a happy sound and lights up green, if she’s wrong, it lights up red and makes a sad sound. We’ve got them for everything from learning colors and shapes to learning how to read. They are awesome. I made these on my computer from scratch…no template used. Although that would’ve been nice. They are 100% geared towards Cinderella’s interests. I downloaded a free tracing font off the internet and typed them up…using clipart I searched for along the way. Once they were complete, I printed them off, front and back, laminated the pages, punched them and bound them using my comb binding machine. Two of the greatest things I’ve ever purchased as a Homeschooling Mom, were the comb binding machine and the laminator. If she makes a mistake, she can just erase. It’s a lot easier for her fine motor skills at this age, than using a pencil and eraser. Lots of Dinosaur books…because she really loves Dinosaurs! Here is Cindy’s Main Lesson Book. I am too cheap to let her color in the coloring books, so I pick, or let her pick, pages from them to print off, color and glue into the MLB. She also uses it to paint, color and practice freestyle writing in. It’s already becoming quite the keepsake. These hardcover, artist sketchbooks are available at Wal-Mart for like $10. They are really sturdy and the paper is quite thick too…which is great for watercolor painting. That wraps up our first day of [Not] Back to School and what curriculums we’re using this year. We have some educational kid DVD’s and sing-along preschool CD’s as well…but I don’t feel like listing those. We nearly never watch the DVD’s. The CD’s include THIS ONE and one that came included in her Preschool Oak Meadow curriculum. I hope this post proved useful to someone out there…at the very least, I know it will come in handy for me in a few years when kid #2, then kid #3 might need something for 4th Grade or Preschool…and that is the whole reason why I blog! To keep a record of what I did…oh, and for the family to see the cute pictures of my girls. Once again, if you have anymore questions, please feel free to email me at: Homeschool@BohoHobos.com. *I do not utilize affiliate links. I don’t get paid for anything I listed on here. It’d be nice…but not the case, haha! These are just the things we use.